This is the 4th Book in in the Montgomery Ink series and I love them all. All of the men are Alpha's of course but Griffin is tatted with a beard 100% male.I love how he kept Autumn on her toes. The chemistry between them is off the hook and the idea of leaving is getting harder and harder. he kept her thinking and challenged. It's a great fun read and will have you laughing out loud. 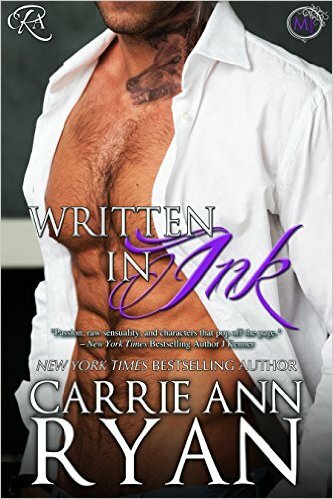 Especially when Griffin throws a tantrum when he gets mad..I love Carrie Ann Ryan books and this is definitely one of my TOPS for her!! 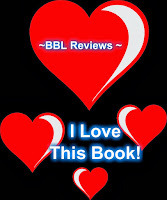 Carrie Ann Ryan has delivered yet another great romantic suspense. Stockpiled with suspense and passion, Written in Ink kept me reading dying to find out the truth! I could re-read Griffin and Autumn's story again and again and I'll be intently waiting for the rest of the series upcoming stories! I can't recommend Written in Ink highly enough! I could go on and on about this book, but it's better for you to just go buy it and read it. You don't have to read the other 3 books to understand this one...although I would recommend that you do because they are really good as well! !